As we celebrate National Press Day on 16 November, let’s pay our heartiest tributes to everyone who contributed to the growth of print media and also its watchdog and mentor, the Press Council of India. Since its inception and functioning, the Press Council continues to symbolize a free and responsible press in the largest democracy of the world. It would not be an exaggeration if we claim that among all press or media councils functioning in various countries all over the world, the Press Council of India (PCI) emerges as a unique entity that exercises an authority over the media and also safeguards the independence of the press in this populous country. For the record, the PCI was first constituted on 4 July 1966 as an ‘autonomous, statutory, quasi-judicial’ body with Justice JR Mudholkar, then a Supreme Court judge, as its chairman. Under the Press Council Act 1965, various relevant functions are being authorized for the PCI, such as helping newspapers to maintain their independence, and building up a code of conduct for newspapers and journalists in accordance with high professional standards. More responsibilities are listed so as to ensure on the part of newspapers and journalists the maintenance of high standards of public taste, foster a due sense of both the rights and the responsibilities of citizenship, and to to encourage the growth of a sense of responsibility and public service among all those engaged in the profession. Keeping vigil on developments which may tend towards monopoly or concentration of ownership of newspapers, providing facilities for the proper education and training of persons in the profession, promoting a proper functional relationship among all classes of persons engaged in the production or publication of newspapers, and developing technical and other research also put in its card. The PC Act directs that the PCI shall consist of a Chairman and 25 members. Out of the members, three are to represent two houses of Parliament, 13 from working journalist category including editors and representatives from news agencies, and the rest would be from various fields of education, science, literature, culture, and law. The chairman, nominated by the Chief Justice of India, and the members of PCI normally hold office for a period of three years. Till date, the PCI has been adorned by a galaxy of distinguished personalities including judges, editors, newspaper owners, journalists, media rights activists, litterateurs, educationists, and lawyers. Justice Mudholkar was followed by Justice N Rajagopala Ayyangar, Justice AN Grover, Justice AN Sen, Justice RS Sarkaria, and Justice PB Sawant as PCI chairman. Among the celebrated editors who were PCI members are Sarvshri Frank Morraes, Akshay Kumar Jain, BG Verghese, Prem Bhatia, Arun Shourie, Kuldip Nayar, Cho Ramaswamy, AN Sivaraman, Dharmvir Bharati, NK Trikha, VN Narayanan, Ramu Patel, Narla Venkateswar Rao, Nikhil Chakravorty, and Mammen Mathew. Similarly, the council was represented by respected media personalities like Sarvshri G Narshimhan, KM Mathew, CR Irani, NB Parulekar, AG Sheerey, AR Bhat, Narendra Tiwari, Raj Mohan Gandhi, Yadunath Thatte, Basudev Ray Chowdhury, NR Chandran, GG Mirchandani, Naresh Mohan, VB Gupta, Sarvshri Durga Das, Sailen Chatterji, Prithvis Chakravarti, K Vikram Rao, S Viswam, GN Aharya, Gour Kishore Gosh, A Raghavan, and P Raman. Eminent literateurs including Dr Uma Shankar Joshi, Dr Birendra Kumar Bhattacharya, Prof KK Srinivasa Iyengar, Prof UR Anantha Murthy, Prof Indira Nath Choudhary, lawyers including Ram Jethmalani, Ranjit Mohanty, P Vishwanath Shetty, educationists Dr Alu Dastur, Dr Usha Mehta, Dr Madhuri Shah, Dr Tapas Mazumdar, Dr MV Pylee, and Dr K Satchidanandan Murthy also graced the PCI as its members. It was our Father of the Nation Mahatma Gandhi who articulated the concept of self-regulation, in which press councils or similar bodies were founded and still functioning. Under this noble concept, the sole aim of journalism should be service to humanity. As the newspapers possess great power, they should be controlled from within. Irresponsible exercises of media power would always invite condemnation. Till the last century, newspapers dominated the media scenario. Even though only 10 to 15% of the Indian populace can understand and consume English, the first newspaper in the country, The Bengal Gazette, was published in that language on 29 January 1780 by James Augustus Hicky during British rule. It was a two-page weekly newspaper, where most of the space was occupied by government advertisements. Then came the Indian Gazette in the later part of 1780. It was followed by other newspapers such as the Calcutta Gazette (1784), The Bengal Journal (1785), Madras Courier (1785), Bombay Herald (1789), Bombay Courier (1789), Bombay Gazette (1791), Madras Gazette (1795), India Herald (1796), Calcutta Chronicle (1811 ), Sambad Kaumudi (1822), Mirat-ul-Akhbar (1822), and Bombay Samachar (1822). As regional newspapers started hitting the market, we had Arunodoi as the first newspaper in Northeast India, published in 1846. The alienated region today publishes over a hundred morning daily newspapers in various languages. The sizeable population of the region still depends on newspapers for necessary news content. For instance, Guwahati supports the publication of nearly 30 morning daily newspapers in various languages like Assamese, English, Hindi, and Bengali. As a nation, we support over 82,000 registered newspapers with a cumulative daily circulation of 110 million. Fighting with an enormous credibility crisis, the Indian newspapers continue growing to make it a Rs3,20,000-million industry. As we are improving our literacy rate up to 75 percent, more citizens now develop the capacity to read newspapers (even in digital forums). By the end of the century, television encroached on the Indian media scene. Today we have over 400 privately-owned ‘free to air’ news channels telecasting news and related contents for almost 24 hours a day. Millions of audiences in India are glued to those channels for newsfeeds because of its speed, lucidity, and entertaining nature, making it a billion-rupee empire. The growth in alternative media, as India today supports nearly 400 million smartphone users, has however posed a serious threat to both print and electronic (radio and television) media. Because of extreme speed, cheaper and participatory in temperament, social media has turned out to be a giant entry breaking most of the barriers faced by the mainstream media. But unfortunately, both the news channels and alternate media outlets in India are yet to be taken under the purview of PCI. Voices have been raised in different forums for enhancing and empowering the PCI with the inclusion of news channels and also portals under its ambit. Otherwise, the actual aim and thrust of PCI may dilute some day. This should be a wakeup call for us! 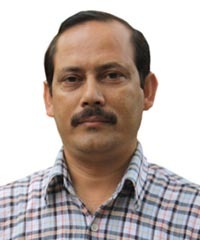 Nava Thakuria is a journalist and media commentator based in Guwahati. He has been covering socio-political developments of Northeast India, along with its neighbours Nepal, Bhutan, Tibet, Myanmar, and Bangladesh, for various media outlets for more than two decades.